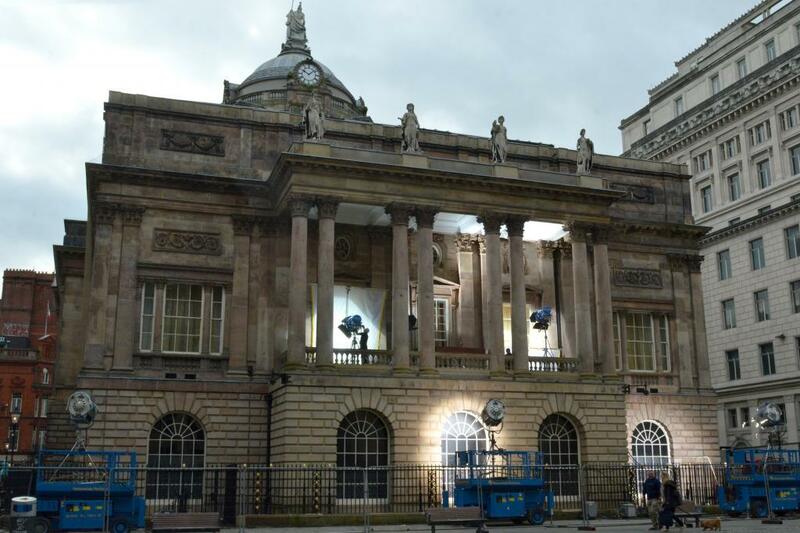 LIVERPOOL is taking a starring role on silver and small screens across the world as filming in the city is at an all-time high. The Liverpool Film Office recorded its busiest ever year in 2017 with 289 film and TV projects shot here, resulting in a massive 1,359 filming days which generated a £11.1million boost to the local economy. Reflecting international trends, there has been increase in production companies heading to the city to film content which was pushed out through online channels. It was also noted that in 2017, projects stayed longer on location in the city. Productions included the BAFTA nominated Film Stars Don’t Die in Liverpool which focused on the life of Hollywood leading lady Gloria Graeme and starred Annette Bening and Jamie Bell, filming in and around Rundle Road in Aigburth as well as using Princes Street to double as New York. BBC Two’s award winning Peaky Blinders returned for its fourth series, using Crosby Beach as one of several Merseyside locations, and Liverpool Women’s Hospital welcomed back popular Channel 4 documentary One Born Every Minute for its tenth series. 2017 also saw international Emmy nominated Broken starring Sean Bean and Anna Friel, filmed in Admiral Street and in various locations in Sefton. And currently garnering positive reviews is BBC Two’s A House Through Time which focused on 62 Falkner Street with crews filming in and around the city for five months. There is a huge amount of anticipation around City and The City which stars homegrown TV star David Morrissey and is due to hit the small screen later this year. Other highlights included Tolkien – a biopic featuring Nicholas Hoult and Lily Collins, a new Sky1 series Bulletproof with Noel Clarke and Ashley Walters, ITV’s ‘Timewasters’ and a special Channel 4 documentary on the city council’s pioneering £1 houses scheme which will be aired in the next couple of months. Songs of Praise, Strictly Come Dancing, The X Factor, The Real Housewives of Cheshire, The One Show, the Worst Witch series, Extreme Cake Makers and The Voice also filmed in the city last year. Assistant Mayor and Cabinet Member responsible for the Film Office, Councillor Wendy Simon, said: “For many years Liverpool has been one of the UK’s most filmed locations outside of London, and it’s fantastic to see that the city retains that appeal with productions returning to the city time and time again. “This city provides the perfect backdrop for directors – there are so many diverse and stunning locations on offer and Liverpool can be transformed into different destinations – whether it be New York, London or Eastern Europe – its appeal is endless. “The calibre of productions coming here is incredible with so many of them receiving rave reviews and then go on to be a well-known name on the awards circuit. “A huge amount of credit should be given to the small team which make up the Liverpool Film Office – their unrivalled knowledge of the city and willingness to go above and beyond has resulted in fantastic relationships being developed between the city council and the film industry. Early indications show 2018 is going to be yet another strong year for the city with the hotly anticipated TV adaption of War of The Worlds by Mammoth Screen for BBC already confirmed to film later in the spring. Film Office manager Lynn Saunders, said: “We are delighted that Liverpool remains such a pivotal player in the film industry and we are committed to putting plans in place to ensure production levels remain buoyant. “A huge amount of work goes into attracting production companies to Merseyside, and then working with them in the run up to, during and post filming to make sure all aspects run as smoothly as possible and they have a positive experience of the city. “Never a city to rest on its laurels – we are developing a five year, city region wide plan to see how we can make the most of the sector and how we can maintain and improve investment levels and the number of jobs created as a result of production companies heading to the area. “Plans for our own film studios are developing which means we’ll be able to meet the demand for film and production facilities which we simply cannot meet at the moment due to capacity issues. For more information, please contact Sarah Latcham, Communications Officer, on 0151 233 0071 or 077936 60570. Visit www.liverpoolexpress.co.uk to find out all the good things happening in Liverpool, or follow @lpoolcouncil on Twitter.